Sri Lanka is a small island with beautiful attractions while famous for endless beaches, luminous green forests, sacred temples, plentiful wildlife, incredible history and culture. Yes, it is one of the best countries in the world worth visiting. The biodiverse hotspots of the island have something for every avid traveller. Whether you want to chase behind the animals, sunbake in the beach, walk along the woods, taste mouth-watering food, explore the culture, stroll on the roads or do some shopping – Sri Lanka has covered it all. This article will be more informative for those who are looking for Sri Lanka itinerary 10 days. Anuradhapura is reflected as a city of the cultural triangle with its history running back to 10th century BC. At present, it is a renowned world heritage site, was one of the ancient capitals of Sri Lanka. The highlight of this sacred city consist of Jaya Sri Maha Bodhi known as the sacred Bo-tree, Ruwanwelisaya, Thuparamaya, Lovamahapaya, Abhayagiri Dagaba, Jetavanarama, Mirisaveti Stupa, Lankarama, Samadhi Buddha figure, Kuttam Pokuna (twin pond), Moonstone (Sandakada pahana), Magul Uyana, Isurumuniya, Ranmasu Uyana and so many. Get them all covered in your Sri Lanka itinerary 10 days. Another city included in the cultural triangle. You will be lost in the Golden age by arriving at the city of Polonnaruwa. Find some of the ancient ruins, temples and Stupa which has its own glorious past. Statue of Parakramabahu, Parakrama Samudra (a reservoir built by king Parakramabahu), Vatadage, royal palace, Shiva Devale, Pabalu Vihara, Rankoth Vehera, Kiri Vehera, Lankathilaka Buddha sculpture and Gal Vihara are among the must-sees. There are tons of places to see here. So, our great advice is to take a cycle tour to see them all. Your journey will never be complete without a visit to the lion rock fortress, Sigiriya. It is an enormous rock built during the historical period. Today, it is among the most visited place and a world heritage site of Sri Lanka. Once a palace, the ruins are still visible in the structure. You have to climb over the rock to get hold of its marvels; ancient frescoes, mirror wall, extensive gardens and wall artworks. If you make it to the top of the cliff, then no wonder – You will be mesmerised by the outlooks of nearby backdrops. Your discovery doesn’t end by that. Continue to hike the Pidurangala rock (maintain your modesty as best as possible), visit the nearby Habarana village, have a mouthful of traditional village food and last but not least – Visit the golden cave temple of Dambulla. Kandy is the last capital kingdom of the prehistoric era. Even today, Kandy dominates the Central province of Sri Lanka through its cultural heritage and unique highlights. Standing on the central plateaus, Kandy comprises flawless sight and spots of the hill country region. 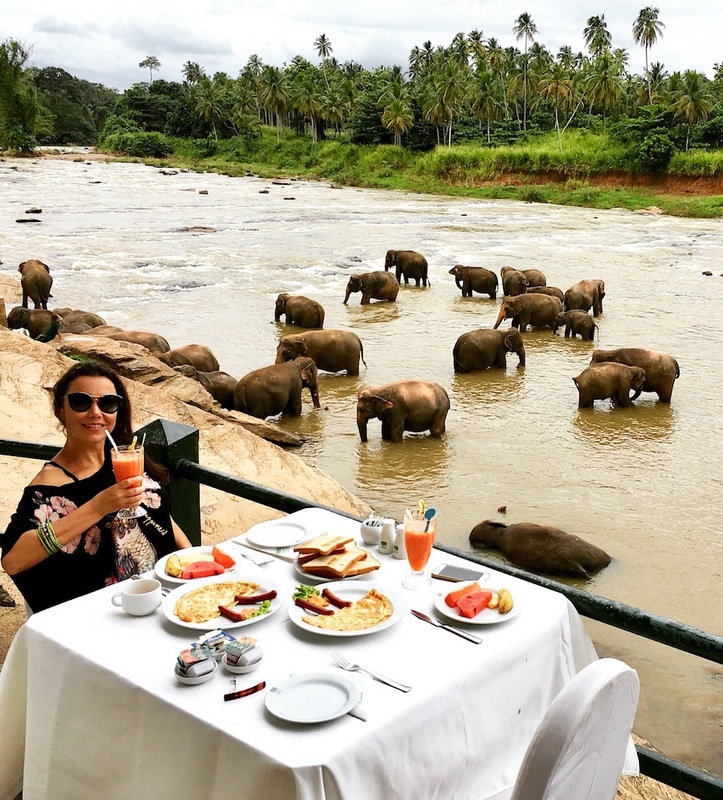 Go with Sri Lanka local tour packages which include visits to the temple of sacred tooth, Kandy Lake, spice garden, Pinnawala elephant orphanage, knuckles mountain range, Pallekele cricket stadium and royal botanical garden. Get the hill country tour experience one after the other by visiting the little England of Sri Lanka. Well-known for tea production, you will find acres of tea plantations scattering across the lands. Walk amidst the tea tracks; take a train ride from Nanu Oya to Ella, visit the Horton Plains national park, little Adam’s Peak, Ambewela farm and go on a boat ride in the Gregory Lake – Now you have explored the best parts of Nuwara Eliya through traveller’s view. A coastal settlement, tropical paradise and one of the best holiday destinations in Sri Lanka. There are many things to explore in Mirissa from whale watching, scuba diving, surfing, partying and just resting. For surfers, there are beachside shops selling surfing boards. Pay a small sum of money to get your board and hit the waves. If you are deep into walking and exploring, there is a secret place to find in Mirissa which is the secret beach. It is a tiny isolated beach area which gives fantastic views of the sunset. Coconut farm is another spot for capturing incredible sunset from the hilltop surrounded by swaying palm trees. Keep an eye on the coconuts to save your head. Whale watching is a not to miss activity in here – See whales and dolphins diving into the Indian Ocean. If you are in Mirissa, then Galle is the next destination to take over. Dutch and Portuguese colonist occupied Galle during the 16th and 18th century. The best-preserved examples of European architecture can be still found in Galle. It is the most excellent example of the fortified city developed by Portuguese in the Asian country. Galle Fort, the National Maritime Museum, St. Mary’s Cathedral, Galle International Stadium, Unawatuna, Gin Ganga and Wakwella Bridge are the landmarks not to miss. Animal lovers – here we welcome you. Spot the untamed world of nature and extinguish your curiosity about wildlife by travelling around Yala. Witness a diverse range of animals including birds, reptiles, elephants, monkeys and leopards during the safari. Among them – leopards are ordinary. Dig more in-depth in the wild to discover some of the cultural ruins which belonged to ancient civilisation. Often referred to as the capital, Colombo is the commercial hub of Sri Lanka. Colombo ideally goes with the term “contemporary and comprehensive”. Want to know why? This city is bustling with everything that requires for Sri Lanka local tour packages. Being the popular tourist spot and best holiday destinations in Sri Lanka, Colombo can give never-ending travel experience with its highlights including Galle Face green, Gangaramaya temple, Vihara Maha Devi Park, National Museum of Colombo, independence square and arcade, floating market, Pettah bazaar, Mount Lavinia beach, Port city (still under construction), roadside restaurants, luxury hotels, shopping malls and many more. No word can explain its beauty unless encountering through your eyes. Sounds like too much? Don’t worry about getting exhausted; you will have just 10 days to discover them all. So, leave your tired back and explore as much as you can.